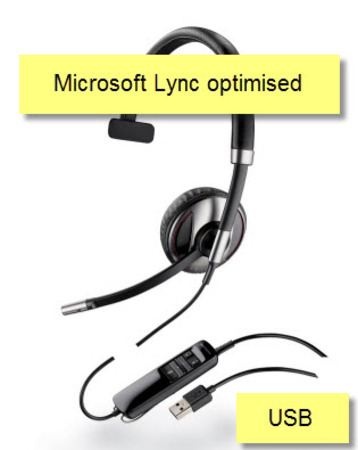 Blackwire® C710-M for Lync®. Corded reliability meets wireless flexibility. 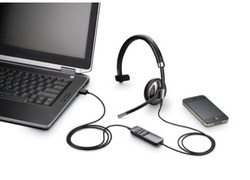 Bluetooth-enabled corded USB headset with Smart Sensor® Technology. Built for the business professional who uses a PC and a smartphone for voice communications in and outside the office. Anticipated users are intensive phone, multimedia and Web-conferencing users and have to be able to deliver the same level of service and high quality work at all times. Industry-first Smart Sensor® technology lets you answer a call by simply putting on the headset, or pause mobile device playback by taking it off - making the C710-M the most productive and versatile "corded" headset on the market.